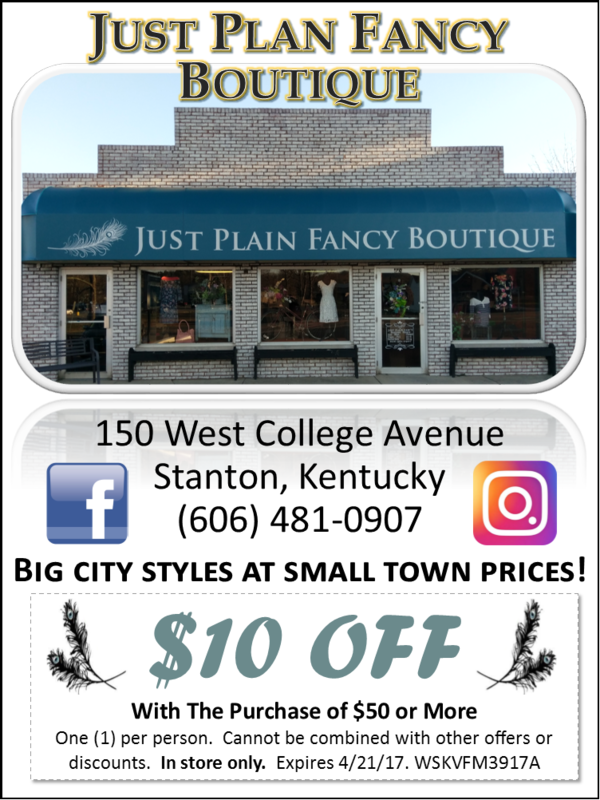 "Just Plain Fancy is a women's apparel and accessories boutique. We are strategically positioned in Eastern Kentucky offering big city styles at small town prices. We strive to keep our prices reasonable and affordable for any budget. Our apparel is great for a busy working woman or a mom on the go. Just Plain Fancy is a one stop shop for entire outfits, accessories and gifts. We aim to keep up to date with all of the latest fashions without having the cookie cutter looks of the mall."